Exact Editions Blog | The Pastoral Review goes Digital! 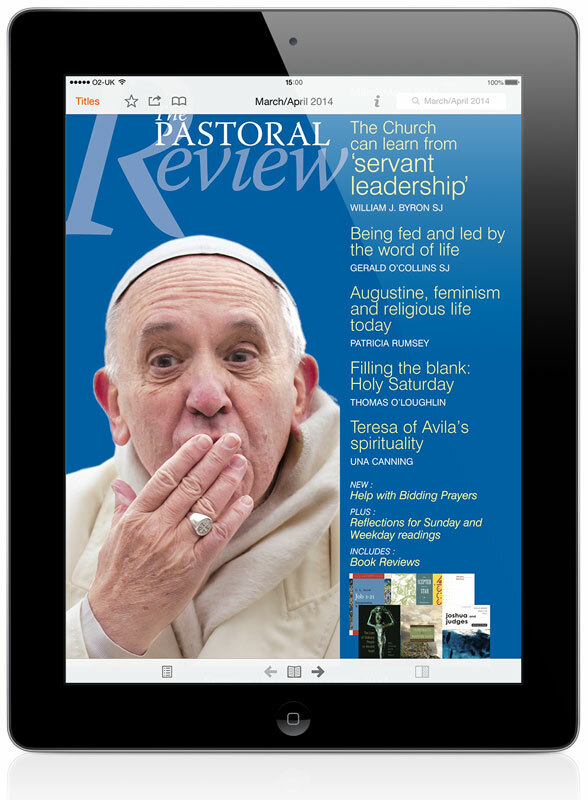 The Pastoral Review has been the go-to resource for ministers of the Roman Catholic Church since 1931. Now it’s following in the footsteps of Pope Francis and using the power of the internet to reach out to the masses! Seeking to offer clarity and guidance for ordained ministers and laity alike, The Review helps to explore and interpret scripture for a contemporary Church. It joins a host of Catholic content brought to the Apple Newsstand through Exact Editions and is also available direct through your browser.